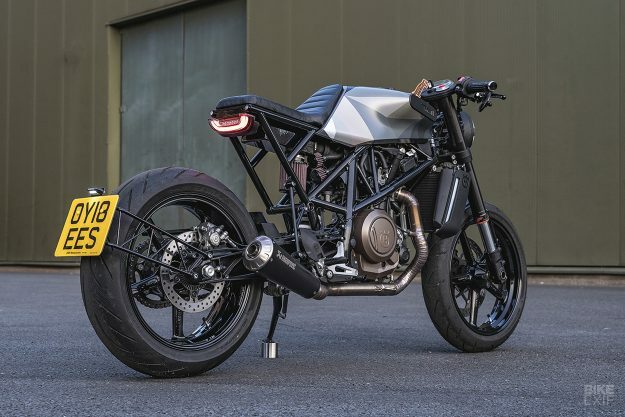 The Husqvarna Vitpilen 701 is one of the most attractive OEM motorcycles of recent times. 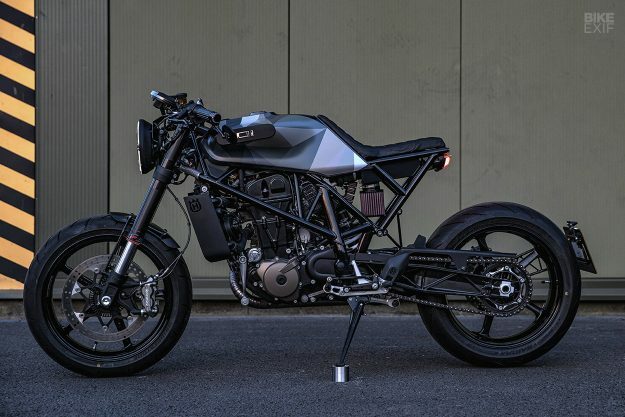 Despite the three-year gap between concept and production, the final road going version of the 701 is damn close to the stunning prototype we were first teased with. It’s a helluva good ride too; light, punchy and nimble. (Yes, we’ve tested it.) 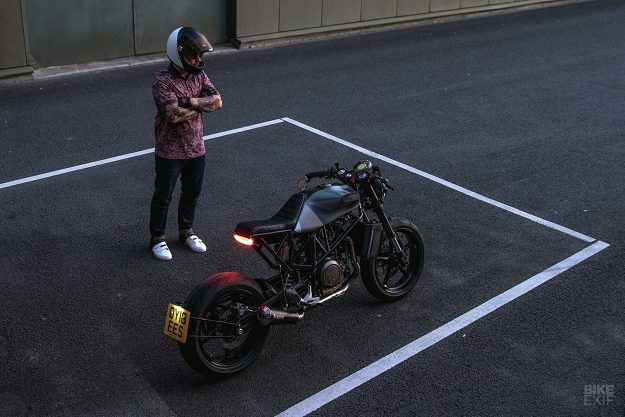 But how do you customize a bike that looks so fine out the box—and has such a definitive look? 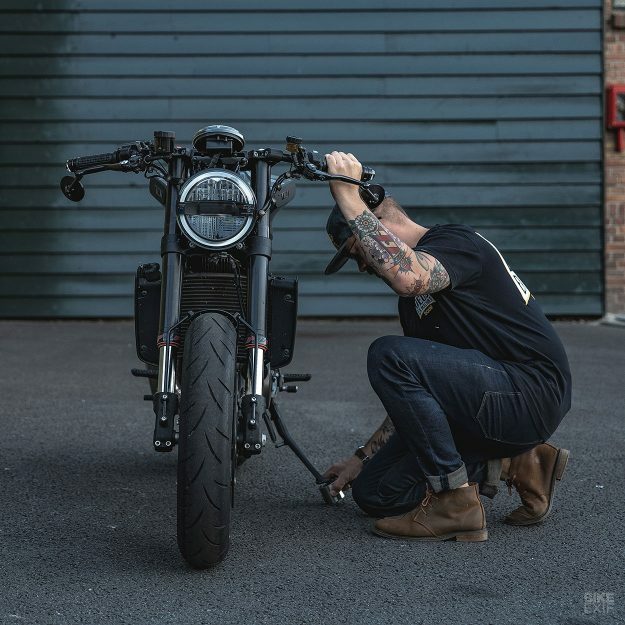 The Dutch outfit Ironwood Custom Motorcycles have had a crack at it, and we’re loving the results. 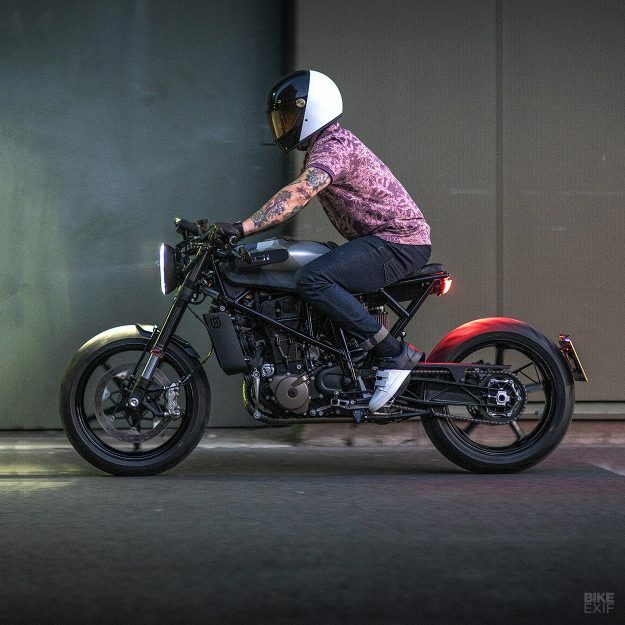 Ironwood’s custom Husqvarna isn’t a total re-imagining of the single cylinder neo-café racer. Instead, it’s a stealthy nip and tuck job—a collection of clever tweaks and subtle changes. Which is exactly what their customer asked for. The biggest change is happening out back. The Vitplien 701 is already compact, but Ironwood have shortened the rear end even more. Arjan’s buddy, Marcel van der Stelt of The Custom Factory, jumped in here. He fabricated a new subframe, and a tray under the seat to hold the wiring and battery. Up top is a custom seat, upholstered in leather by Marcel’s wife Patricia. Just behind it, the crew embedded a pair of LED turn signals into the ends of the frame, and re-mounted the OEM taillight. There’s some cleanup work happening lower down too. 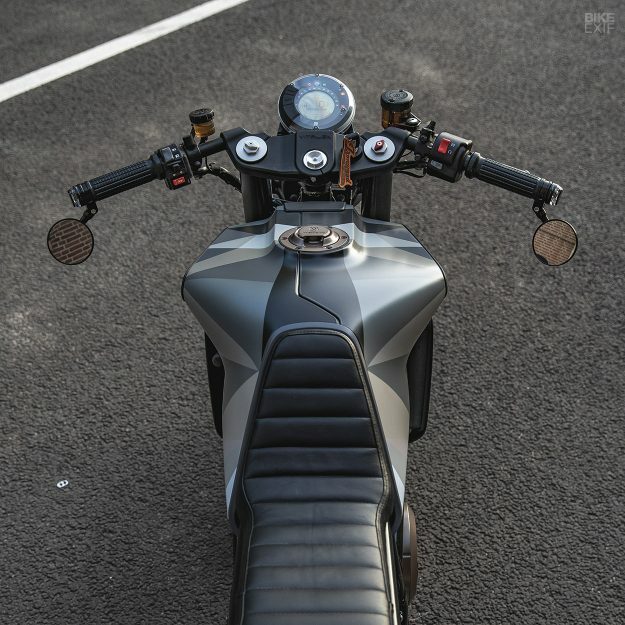 The 701’s plastic rear fender and plate holder combo is gone, replaced by a far slimmer custom-built unit. Equal consideration’s gone into the front, with a stubby front fender and a neat set of brackets replacing the originals. Subtle trims abound. Both the stock headlight and speedo are still in play, but the latter’s been repositioned ever so slightly. 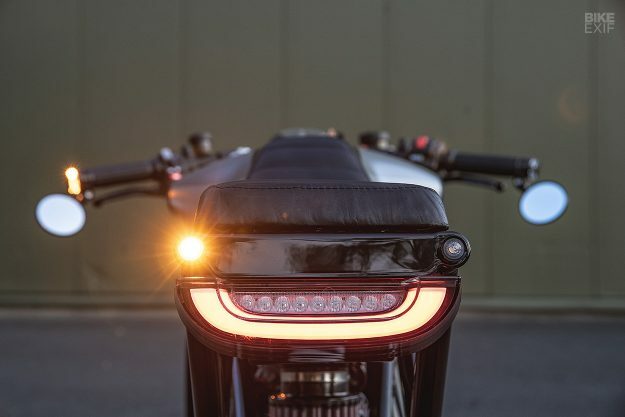 The bars and controls are original, but Ironwood have added Motogadget grips, mirrors and bar-end turn signals. 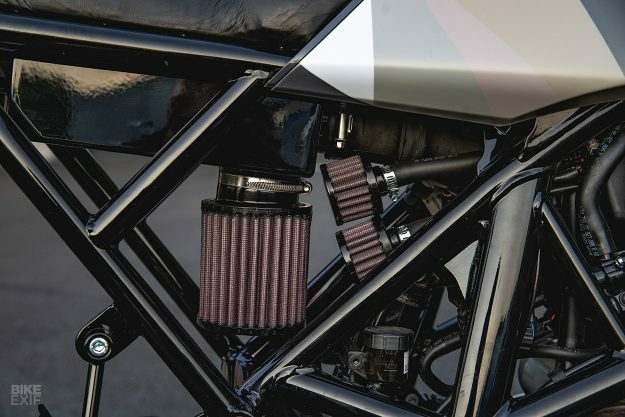 Lower down, the team ditched the 701’s belly pan, and rebuilt the entire exhaust header. 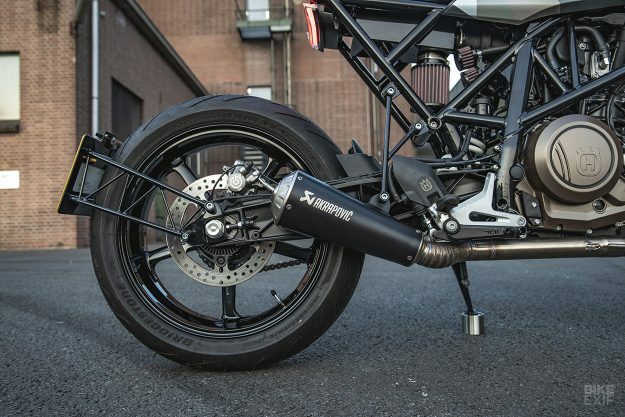 It now terminates in an Akrapovič muffler, originally made for the smaller Husqvarna Vitpilen 401. 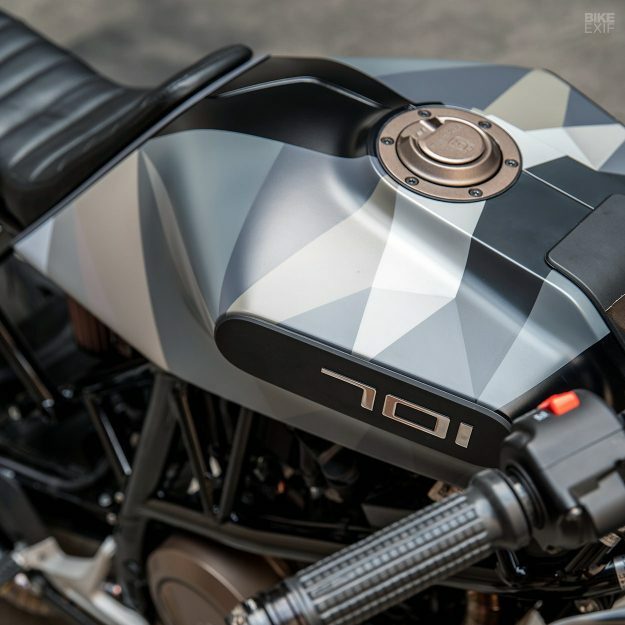 Capping off the design are a pair of aftermarket ‘701’ tank badges. And in the final reckoning, the already light Vitpilen has shed around 15 kilos of superfluous bits. 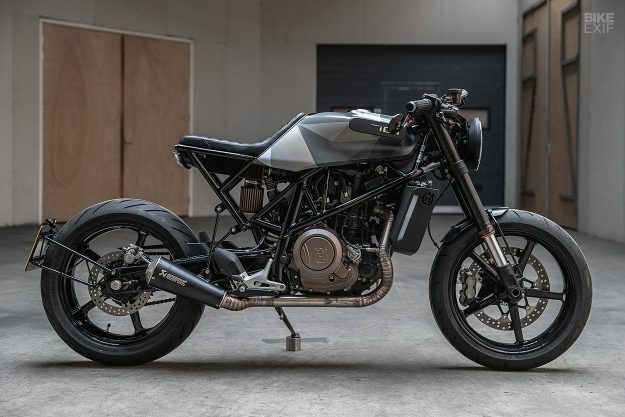 Ironwood are calling this one a ‘neo classic jet fighter,’ and have dubbed it ‘The Chain Smoker.’ Arjan tells us it also perfectly represents Ironwood’s ‘ABCD’ ethos: Aggressive, Bold, Clean and Dazzling. Well, we think it looks hot. 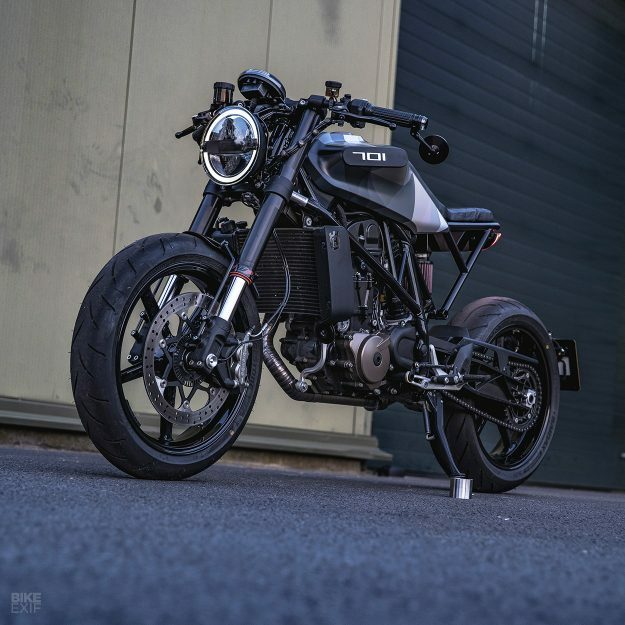 And we want to see more Vitpilen 701 customs. Pretty please?